Film wall sticker. Are you a fan of the classic film karate kid? The sticker consists of the famous quote from karate teacher Mr Miyagi. 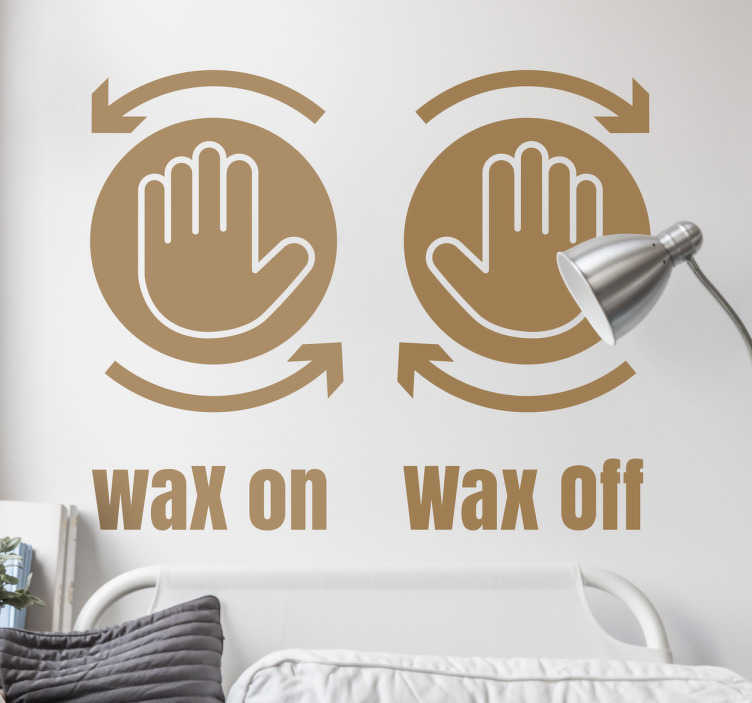 "Wax on" and "wax off" with the motion of the hands. The Karate Kid is a 1984 American martial arts drama film. This sticker is available in a variety of sizes and colours. With our special adhesive film you can easily apply the sticker to any flat surface.